I am on the hunt for some new curtains for our living and dining room. We have two big windows on the front of our home and I'm growing tired of the curtains I currently have. I bought these curtains from IKEA years ago and they've been great but I would love to switch things up a bit and bring in something new. So I have been browsing all of my favorite online stores for some new curtains and I have come across some great ones that I wanted to share with you today. I'd love to hear your thoughts on these. Let's start with my favorite. 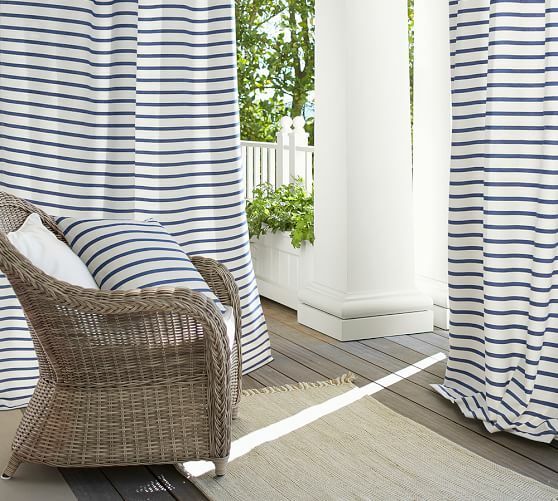 These are the Brice Stripe indoor/outdoor drapes from Pottery Barn. I just have a thing for stripes and so I was immediately drawn to these ones. 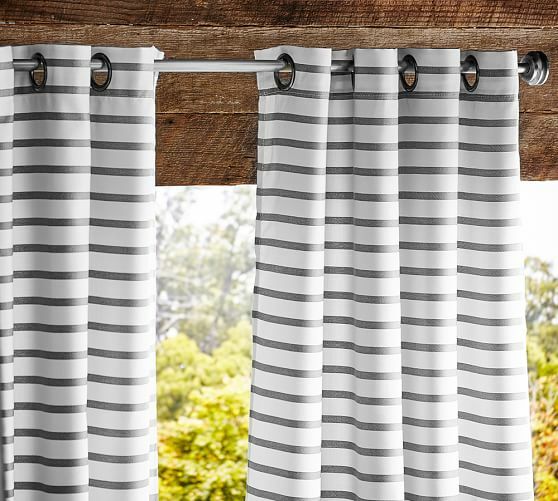 This stripe drape also comes in a variety of different styles and colors, I really like these in the gray stripe too. If these were in my budget I would have ordered them yesterday, but $560.00+ for 4 panels is not going to happen. 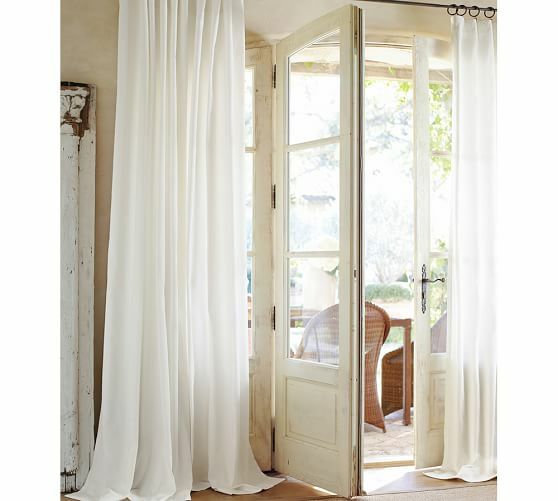 Now these Cameron Cotton pocket Drapes, also from Pottery Barn are on sale and are a little more affordable. 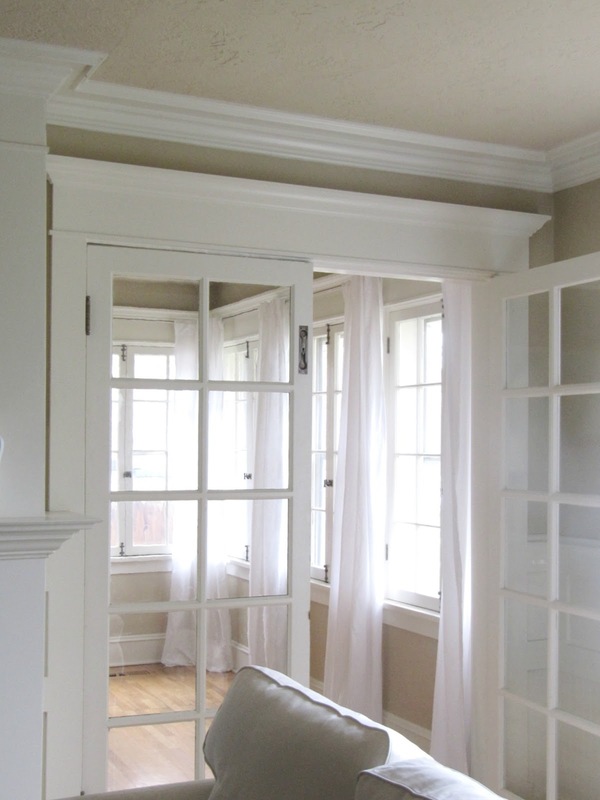 I think some simple white curtains would look great in our living areas, and because they are white, I most likely won't grow tired of them anytime soon. I really like that these hang by clips. I open and close our windows every morning and night and the rings make it really easy to do so. Although, these ones remind me of the curtains in our Sunroom that I made out of 5 dollar Walmart sheets.....so I could always go that route too. See more about my $5 curtains HERE. I think World Market has the cutest curtains. These Indigo Dot Sheer crinkle Voile Cotton Curtains are so perfect for our living room. I decorate in a lot of navy blue so these would fit right in. The thing that worries me with these ones though, is that they aren't very wide. I would probably have to pair them with another curtain or double them up. which is what they did here with the Gray Lucy Crinkle Voile Cotton Curtains, I really like this print as well. I would sew the panels together to make two big ones for each window, but that would really add up and be out of my budget. Here I go again with the stripes! These Threshold Bold Curtain Panels are from Target. They come in a tan or navy blue stripe as well but I really liked the gray best. I read the reviews on these and a few people said that the stripes don't always match up, so that could be an issue. I'm really liking these. I think either color would look pretty in our home, although I think I'm leaning a little more towards the gray than the blue. I really want to see these ones in person, so I may need to take a trip to Target. Next I checked out H&M and found a few curtains I liked. These are the 2-pack Curtain Panels. I think the bird print on them is really fun. But honestly, I was more drawn to these once I saw this picture of them styled in a living room. There's kinda a cool jungalow feeling with these curtains that I really like. Also from H&M is this Washed Linen Curtain Panel. It comes in a variety of pretty colors, but again I keep leaning towards grays. I don't think I could go wrong with a gray linen. I actually didn't even know that I could order from IKEA and have it delivered. How did I not know this? Anyway, so I think these Syssan curtains are crazy fun! They would really bring my living areas to life. I think they would be fun for the springtime, but I would most likely want to switch them out as soon as fall/winter arrived. These Mjolkort Curtain panels are a steal. You can get 1 Pair (2 panels) for only $14.99. This is why I love Ikea! These ones look lightweight and flowy and I think they too would fit right into our home perfectly but they do remind me of the ones I have already have, and I am looking for a change. Once I saw an up close look at them, I felt that they had a lux feel to them. IKEA's curtains are really long, and they give you an iron-on hemming strip so that you can make them whatever length you want. I prefer my curtains to puddle on the floor a bit, which I would choose to do with these ones. So I have some really great options to choose from. I need to think each one over a bit more and really decide what direction to go with. What are your thoughts? Do you have a favorite? Do you own any of these, and if so, would you mind sharing how you like them? 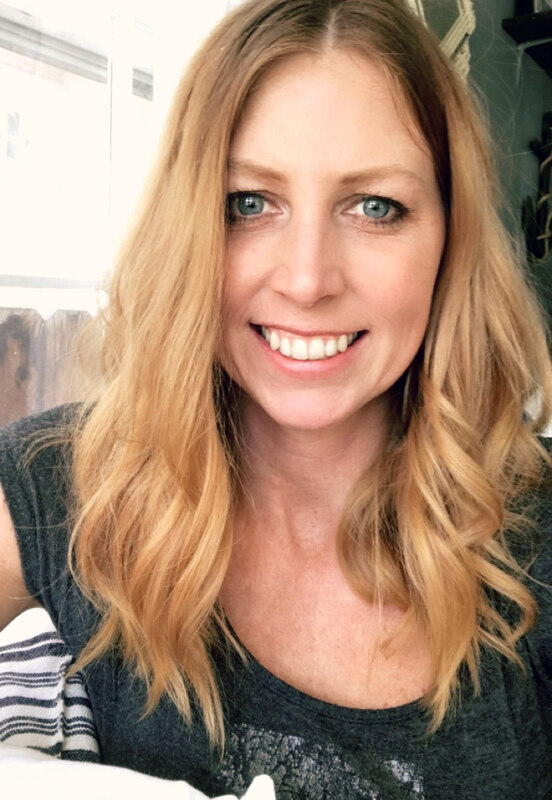 You can also find me on Facebook - Instagram & Pinterest. I've been looking for curtains too. I love the pottery barn options you showed but I'm trying to work with a small budget as well. The only thing I don't like is that so many curtains only have the grommet top nowadays...maybe I'm old-fashioned but I'm just not a fan. I did see some curtains at Target yesterday and plan to research them a little more today, they were the Threshold Basketweave curtains in Natural. I'm going to go look at them online now. Thanks for your post! It's nice to see other options. Some of your choices are so busy. No to target. I don't think their quality is good. I love as fresh white linen cotton blend. Do you know about Half price drapes? Great quality, great prices. Good luck. I love your current curtains, but it's fun to change things up. I have the very last ones, but mine are from Zara home and in white, they look great but shrink a bit every time I wash them....and I wash them cold... that's a bit of a bummer...especially cause I hemmed them before, lol. So maybe it's time for new ones for me soon too! Have a great day! I am with Jenna (above) I really can't believe how many curtains have those grommet tops, they remind me of shower curtains. When I was looking online I found some beautiful designs but ruled out any with grommets. I did find some nice curtains at Wayfair, reasonably priced and free shipping.